Will My Passport Arrive On Time To Travel? In 2016, over 17 million Americans are expected to either apply for a new passport or renew their passports. At an average of over 40,000 applications processed per day, officials inside the United States Department of State are warning travelers that the average time to get a passport may be extended to two months – or even more. In addition to all the benefits of holding a passport can unlock, holding a passport may be the only way for certain residents to board an aircraft in the coming years. Moreover, without a valid passport book, modern-day travelers will not be allowed to leave the United States. By understanding the situation and preparation, travelers can make sure they maintain their international access. In 2007, the Western Hemisphere Travel Initiative (WHTI) went into effect as part of a sweeping overhaul of travel laws. Under WHTI, travelers planning to leave the United States for an overseas country were required to hold a valid passport. One year later, WHTI was extended to travelers leaving the United States for Canada, the Caribbean, and Mexico. As a result, the State Department saw a surge of passport applications, in order to comply with the new regulations. Therefore, many of those passports are expiring over the next two years. In addition, the REAL ID Act will be enforced in 2018, putting travelers from six states on notice that their state-issued identifications may not be enough to board an aircraft. Therefore, travelers from those states are required to carry a REAL ID-complaint identification, such as a passport book or passport card. Between the two groups, the State Department is anticipating an increased number of passport applications in 2016 and 2017. Because so many travelers will be applying for a new passport book, the State Department warned The New York Times that passport book renewal would be delayed. While a passport normally takes about four weeks to complete, officials warn new books could take up to six weeks or more to be processed and shipped out. For those who need to renew their passports this year, renewing early will be critical to ensuring continued travel now and into the future. By renewing a passport now, and well before any international trips are planned, travelers can ensure they will have a passport book well before their travels require. There are many options available to travelers who want to maintain their international freedom despite the deadlines imposed by expiring passports. 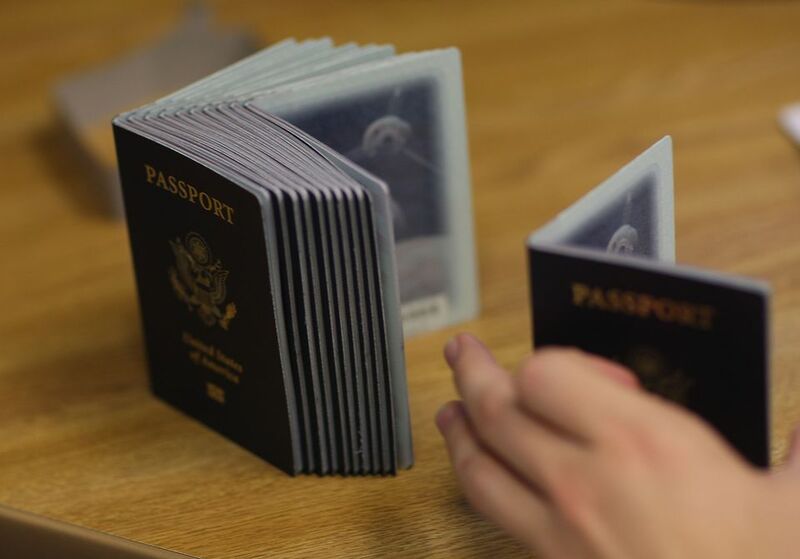 One of the easiest ways travelers can keep moving is by applying for a duplicate passport book. Although a second passport is only valid for two years, a second valid passport can keep travelers moving, even when a book needs to be renewed. For those travelers who enjoy visiting nations bordering the United States by land and sea (including the Caribbean), it may be wise to apply for a passport card at the same time as a passport book. A passport card is valid for ten years and can be used in lieu of a passport book for travel within North America. However, those traveling by aircraft will still need to carry a passport book, as the card is not valid for air travel. I'm Traveling Internationally Next Week - Can I Get a Passport? Expedited service can cut down the anticipated wait for a passport renewal in half. However, applying for expedited service will add an additional $60 to the regular renewal fee. For those travelers who need their passport shipped immediately, overnight delivery is available for an additional $20.66. Travelers who are traveling within two weeks or need to receive a foreign visa within four weeks with an expiring passport can apply for in-person service at a passport agency. In order to receive a passport at an agency, travelers must provide proof of international travel, such as a confirmed airline itinerary. There are 26 passport agencies in the United States, and most offer in-person service for travelers who have imminent travel pending. Travelers who are leaving the country on a commercial aircraft must have a valid passport prior to boarding their aircraft. While other programs (like Global Entry) can help expedite the process upon return, there is no exception to the passport book rule. Travelers who frequently visit Canada and Mexico can sign up for trusted traveler programs such as NEXUS or SENTRI. Under these trusted travel programs, frequent visitors can utilize special lanes to cross the border with less frustration. Moreover, acceptance in a trusted traveler program is also enrolled in Global Entry, allowing them to skip the U.S. Customs line upon arrival.